Craig Nyman, Head of Music and Performances. In the heart of old downtown Vegas lies a music festival that not only caters to music lovers, it caters to the needs of many. Life Is Beautiful Festival is upon us, and will inhibit Las Vegas October 24-26th. Life Is Beautiful is a festival that has been known to set the bar and undeniably impress those in attendance each year. Music snob or not, this festival is sure to please you with this one quirky fact. The fact that you can come to one venue and have an 'experience'. Aside from music, the festival will deliver an: art, learning, and culinary experience. "Thankfully the team has put together a lineup that would be attractive for everyone and people will want to come out and see, said Craig Nyman, Head of Music and Performances." 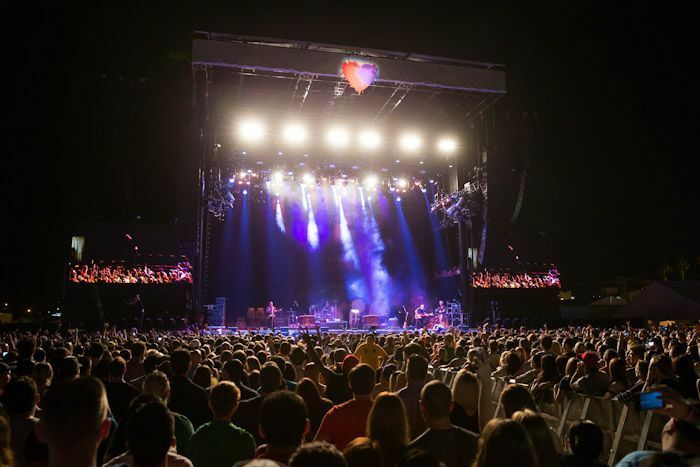 Many may remember the festival from last year and its' chart-topping acts such as: Kings of Leon, Alabama Shakes, The Killers, Imagine Dragons, Portugal The Man, Capital Cities, and many more. However, this year, the festival is beefed up from two days to three and has added more stages-which simply means more room, more food, more love, and more dance parties-what more could you ask for?! "For me, Life is Beautiful is all about helping people achieve their goals and dreams, says Nyman, it's never to late to dream and do what you love." The best part of a music festival is the discovery. Life is Beautiful is a festival that you will discover yourself while crossing over into new territory. A festival where your soul will be lost because to be quite frank Life Is Beautiful. Here's to finding the hope that leads you to your inspiration and making it an experience. Thanks to the music industry gods of Another Planet Entertainment, strategy gurus of Langdon Flynn, and everyone in between, Life Is Beautiful is sure to be another success and obviously a festival you do not want to miss! G-Eazy: A hip-hop artist from the Bay. G-Eazy's album came out two months ago and has already peaked to #1 on hip-hop charts while landing the third spot on Billboard 200. Galantis: This Swedish duo made its debut at Coachella. Only playing 10 shows or less, they will be sure to deliver another upbeat performance in Vegas. St. Paul & The Broken Bones: Are the epitome of great soul band with elemental rhythm. Priory: Composed of two hopefuls who met in a bachelor pad, Brandon Rush and Kyle Sears. The result is now known as an unique and powerful mix. Their pop and rock intertwined harmonies led to the catchy single, "Weekend."